2 hours of solid DEEPNESS!!! 2 Hours of brand new tracks for 2015, enjoy! This Best of 2014 is part 3 of 3. HAPPY NEW YEAR and THANKS FOR ALL THE SUPPORT! This Best of 2014 is part 2 of 3. This Best of 2014 is part 1 of 3. This is probably my deepest set this year, enjoy! 2 hours of deepness, enjoy! 2 hours of extra deep, hope you enjoy! 2 hours of deepness, hope you enjoy! Once again, this one is real deep. This is a sick 2 hours, so deep!...Hope you enjoy. Oh Man!!! This is as deep as you can go...Hope you enjoy. Finally! I was able to put together a full 2 hour set. This episode is all DeepHouse. Finally! 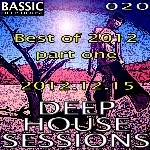 Back to kick off the new year with some excellent tracks, enjoy!!! This episode is nothing but DeepHouse. The Best of 2012 part two (my favs of the year). The Best of 2012 part one (my favs of the year). 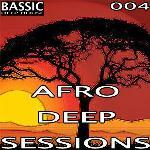 This session features some of the best AfroDeep tracks that South Africa has to offer. 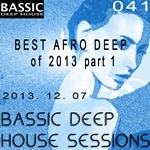 There are DeepHouse and SoulfulHouse tracks from other parts of the world as well. This is our first AfroDeep session, it features some of the best AfroDeep tracks that South Africa has to offer. There are DeepHouse and SoulfulHouse tracks from other parts of the world as well.